Baby_with_a_rabbit - Illustration store PicsForDesign.com. PSP tubes, PSD illustrations, Vector illustrations. 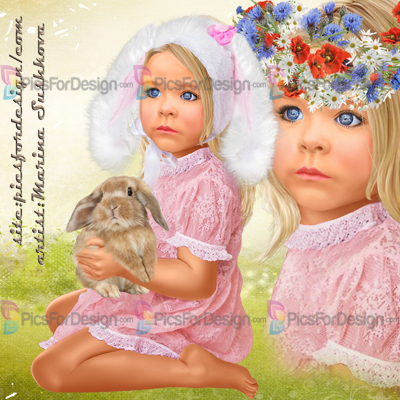 Girl, baby, rabbit, ears, bouquet, wreath, Easter.